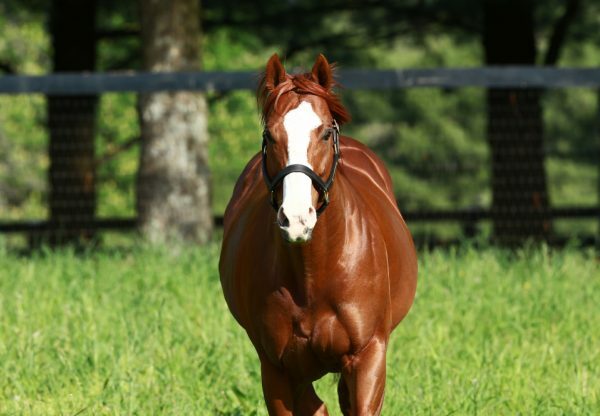 Improving entire El Deal (5h Munnings x Spirit of Wailea, by Out of Place) has been in hot form since joining the stable of Jorge Navarro and scored a commanding victory in the $350,000 Grade I Alfred G Vanderbilt Handicap at Saratoga on Saturday. 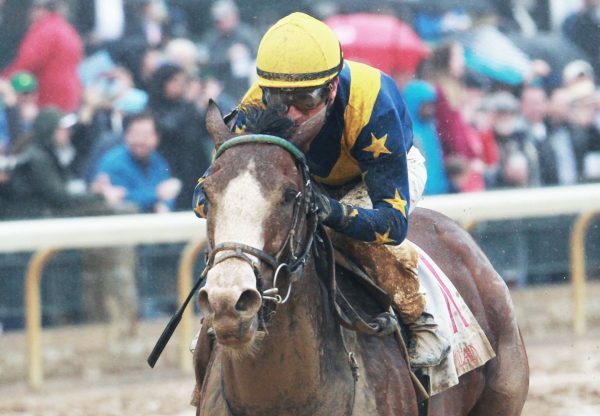 Sold privately earlier this year to Albert and Michelle Crawford and transferred to Navarro, El Deal has won all three starts since then culminating in this facile win. 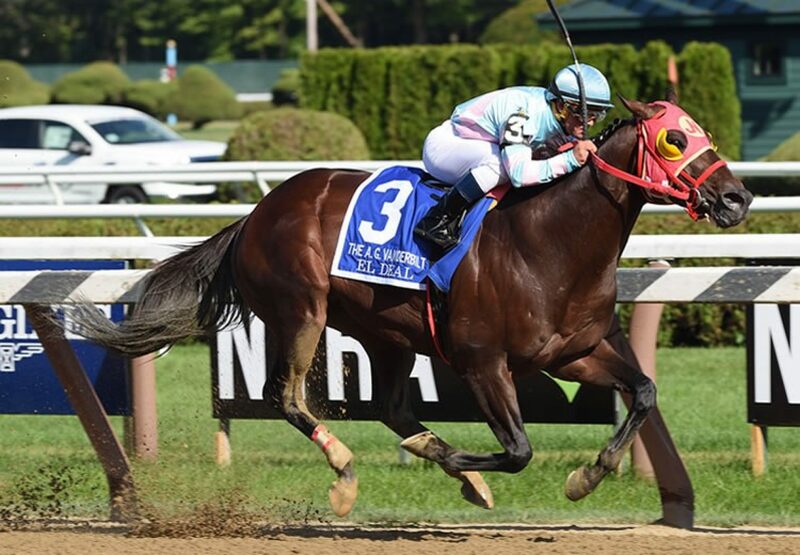 He led throughout for Javier Castellano and kicked right away to win the six furlong sprint by eight lengths taking his overall record to nine wins from 16 starts with prizemoney topping $500,000. "I respect all the horses in the race,” Navarro said. “That's why we were here--to see what kind of horse he is. I think I did the right thing by taking him to all those [previous] tracks and prepping him there. I called the owners and said I thought it was time to see what we have and he proved it. "I knew how fast he is and I knew that he carries his speed really good. We'll see what's next for him. He likes a [break] of 45-50 days, so that's what he'll get. We're getting ready for the Breeders' Cup and big races at the end of the year, so I wanted the owners to have fun. I called them up and said I thought it was time to see what he's about. I guess he is what he is." Originally a $57,000 Keeneland November Weanling purchase, El Deal is a half-brother to stakes-placed Legacy Wildcat from Spirit of Wailea, a half-sister to Grade II winner Choctaw Nation. El Deal is the second Grade I winner for Munnings joining I’m a Chatterbox.